When the Breakthrough Institute's Michael Shellenberger and Ted Nordhaus began advocating for a paradigm shift in the global approach to climate change in the early 2000's, they could not have predicted that a paradigm shift of another variety might occur simultaneously. That is: a shift in the balance of global power. In an op-ed entitled, "Rebalancing Relations with China," published in the Washington Post this week, Henry Kissinger assessed the power shift occurring between the U.S. and China, calling for Sino-American cooperation in lieu of boisterous assertions of nationalistic superiority and hegemonic power. A Nobel Peace Prize winner, former National Security Advisor and Secretary of State during the Nixon Administration, Kissinger is a known proponent of realpolitik. Although that term typically has a negative connotation in the U.S. and is often associated with power abuse, the word actually refers to a theory of politics grounded in the realistic assessment of power, rather than ideology. In accordance with this theory, Kissinger's puts forth an ideology-free assessment of the current relationship between the United States and China. China's position as America's largest creditor and the economic crisis, in combination, have served to level the playing field between the two nations. Faced with increasing economic interdependence and China's conflicting interest in reducing that dependence, "ambivalence," Kissinger asserts, "is the inevitable consequence." In Kissinger's estimation, a new political framework that recognizes China as a global economic power will be crucial to revitalizing the world economy. From this standpoint, there are three ways a Sino-American relationship could play out on the global stage. First, both countries could resort to unmitigated nationalism. Historically, Kissinger points out, aggressive national rivalries have resulted in damaging confrontations with far-reaching societal consequences. American leaders must resist the siren call of a containment policy drawn from the Cold War playbook. China must guard against a policy aimed at reducing alleged American hegemonic designs and the temptation to create an Asian bloc to that end. America and China should not repeat the process that, a century ago, moved Britain and Germany from friendship to a confrontation that drained both societies in a global war. As China gains political influence, both countries must resist the urge to subvert each other. 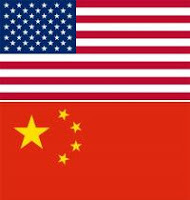 Should China and America refuse to cooperate, international issues that depend on their partnership, "such as energy, the environment, nuclear proliferation, and climate change," will suffer the greatest casualties. Unmediated nationalism, on behalf of both countries, would only impede progress for both societies and the rest of the world. The second outcome is for the U.S. and China to form a powerful but exclusive G-2. Perhaps the most alienating possibility, this type of exclusion could only motivate divisive nationalism among other countries instead of the global cooperation that is desperately needed to ensure world order. Finally, Kissinger suggests that the global goal should be for the U.S. and China to engage in a balanced, cooperative relationship that is particularly inclusive of China's bordering neighbors. This would require the U.S. to break from its time-honored habit of hegemony while still maintaining a leadership role as it adjusts to Asia as the locus of international attention. While Kissinger's portrayal of the current balance of power between the U.S., China, and the rest of the world is driven by realpolitik, his call for cooperation may not be. For a Sino-American cooperation scenario to play out, the paradigm shift would need to be two-fold: 1) Kissinger's proposal for a new political framework would be adopted and the U.S. would cede the solitary role of global superpower and graciously inhabit the role of co-global superpower; 2) the U.S. would have to accept China as the new technology leader, particularly in clean energy technology, and nostalgically recall the days when winning that other great nation race took us to the moon. The first shift is already occurring; the second is a potential outcome of the clean energy race. While Kissinger warns against resorting to "classic balance-of-power" politics, engaging in a clean energy race with China has productive value both inside and outside the realm of economic power. Nationalism aside, competition between the U.S. and Asia, will both drive economic growth (for at least one, if not both countries) and improve the global energy supply. Given its lackluster efforts to construct effective clean energy policy, the question may not be who will win, but can America even compete? With an old-hand technology leader on one side and an ambitious novice on the other, visions of clean tech grandeur are to be expected and pursued. While competition may preclude both nations from realizing the ultimate wisdom of Kissinger's vision, a high stakes clean energy race has the potential to produce the best both nations have to offer. Of course, the consequences could also be a dramatic shift in economic leadership and a new center for global power.